Sometimes simple is best. 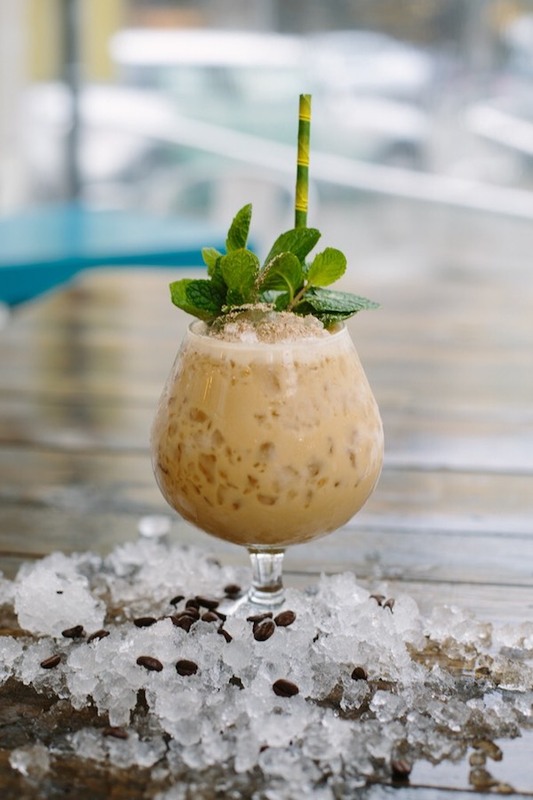 Mount Gay Black Barrel rum is combined with cold brew coffee, coconut cream, and mint. Close your eyes and take a sip and you’ll swear you’re breakfasting on the beach. Make a reservation at Palm House. A is for Apple, J is for Jacks — and T is for Tequila. 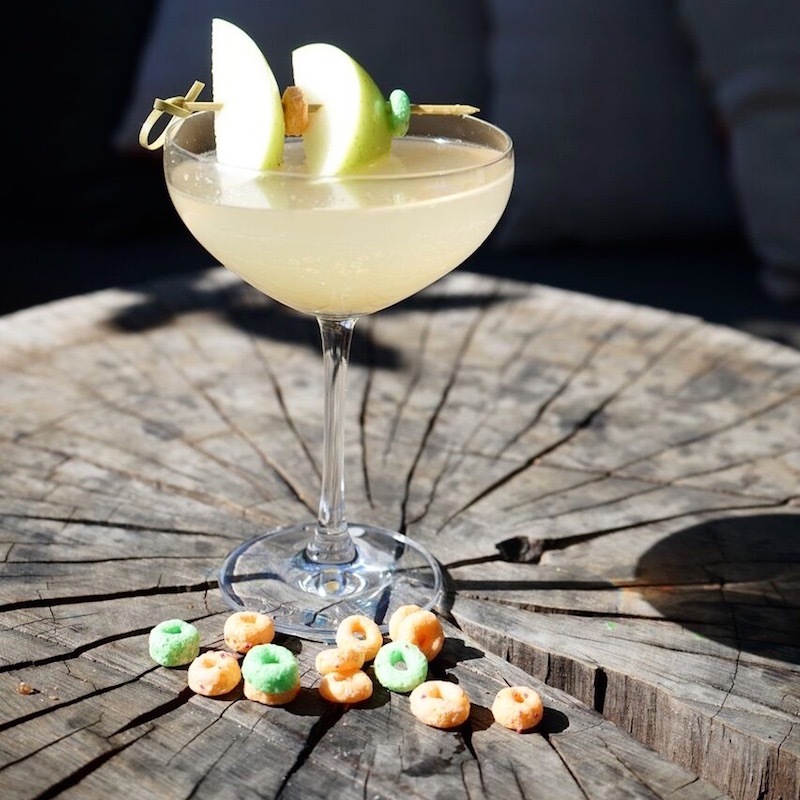 Don Felix’s anejo is mixed with apple shrubs and cinnamon syrup while the iconic cereal adds a tart sweetness. Make a reservation at The Front Yard. 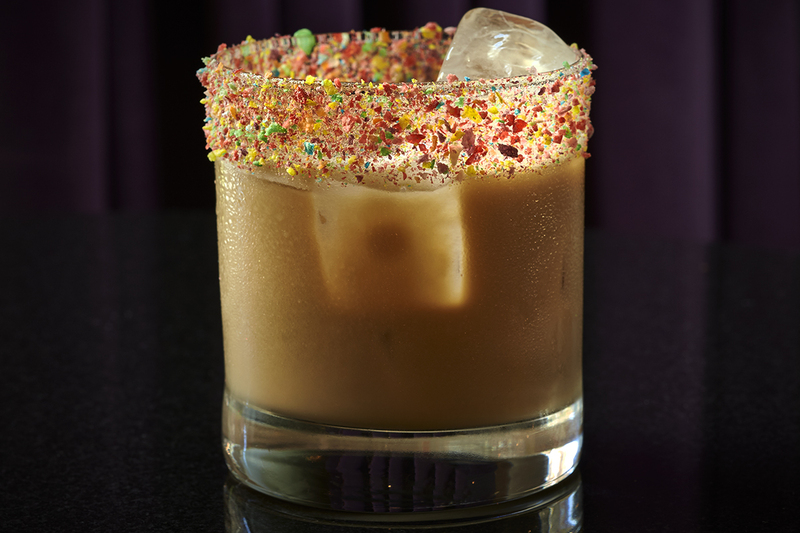 Honey Nut Cheerios-infused dark rum. We didn’t know such a thing existed, but now we can’t live without it. 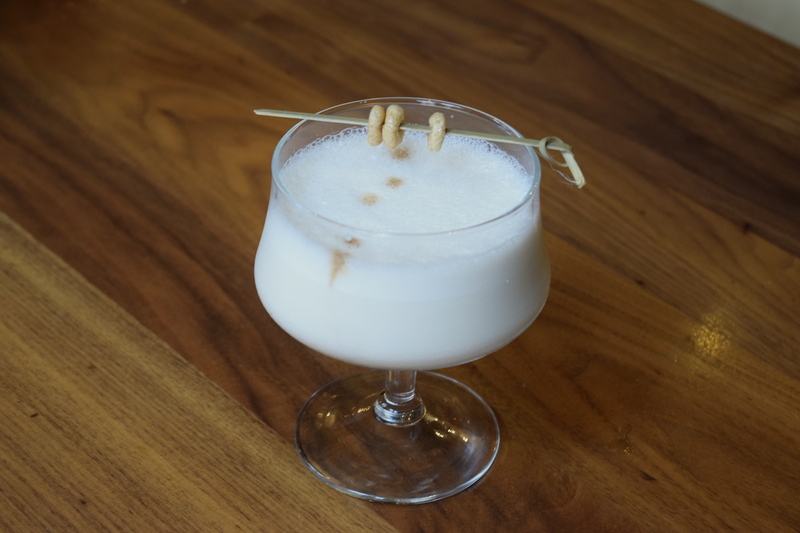 It’s mixed with holiday pie bitters, honey syrup, and milk to make a punch to which nobody can say no. 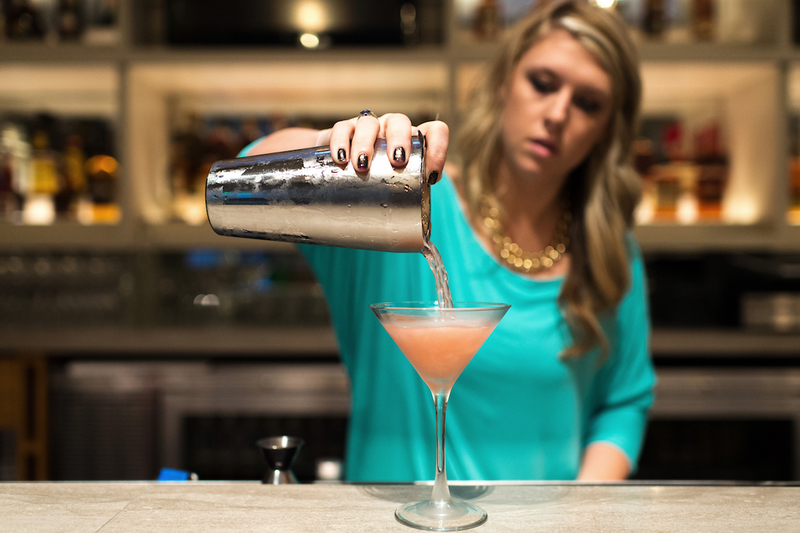 Make a reservation at SoBou. 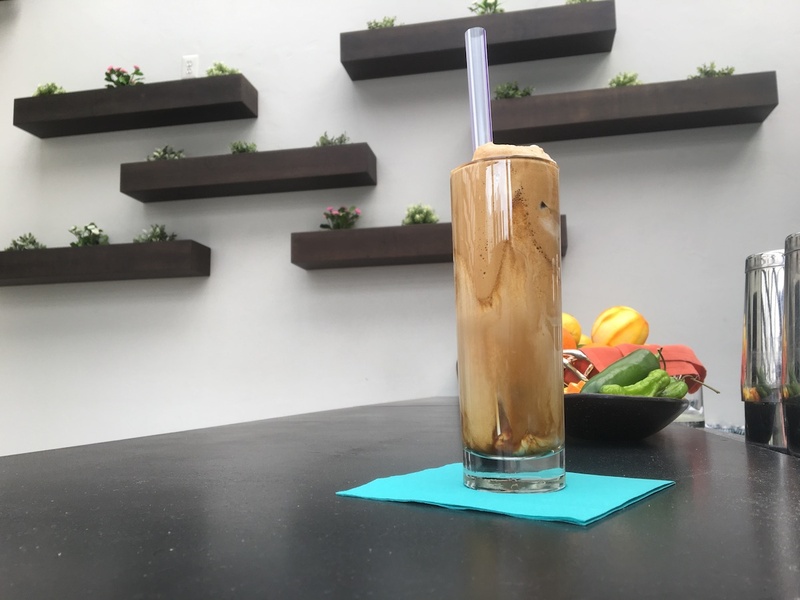 Greek Frappe at Sakerum, Washington, D.C. 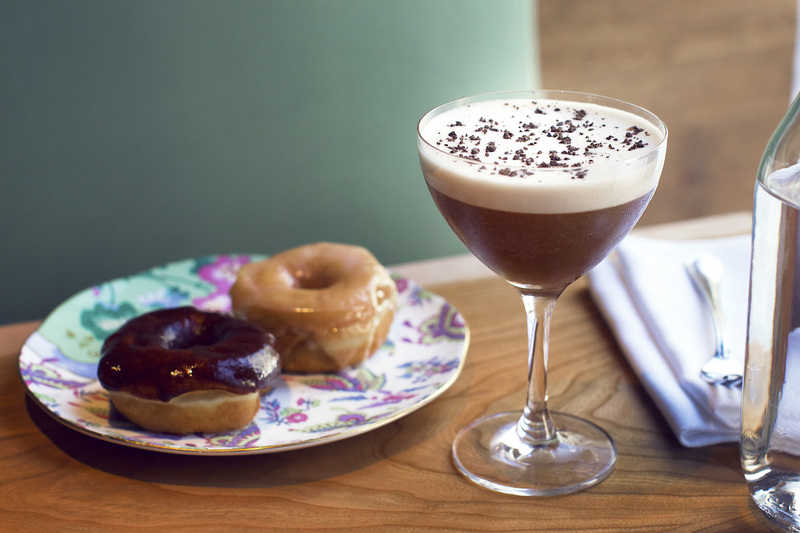 The Greco great is remade as a boozy breakfast beverage. 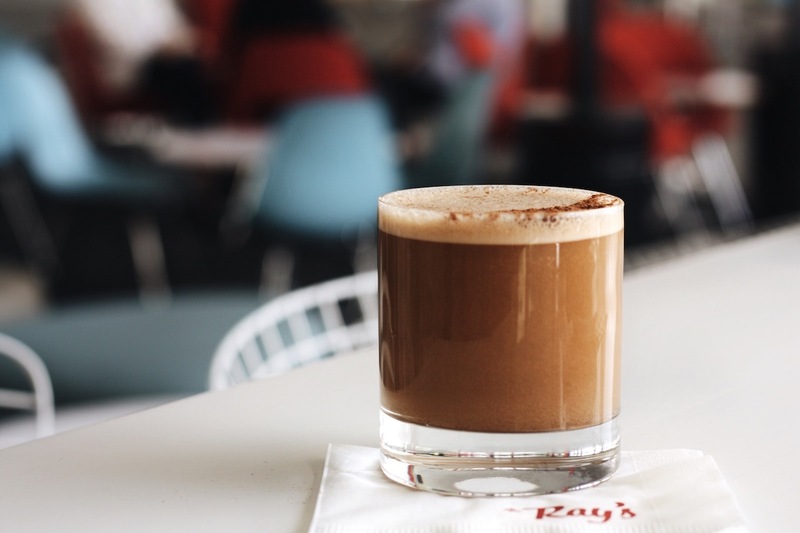 Smith & Cross rum gets paired with cinnamon, instant coffee, and cream. It comes with a doublewide straw so your slurps will be extra loud – beware. Make a reservation at Sakerum. 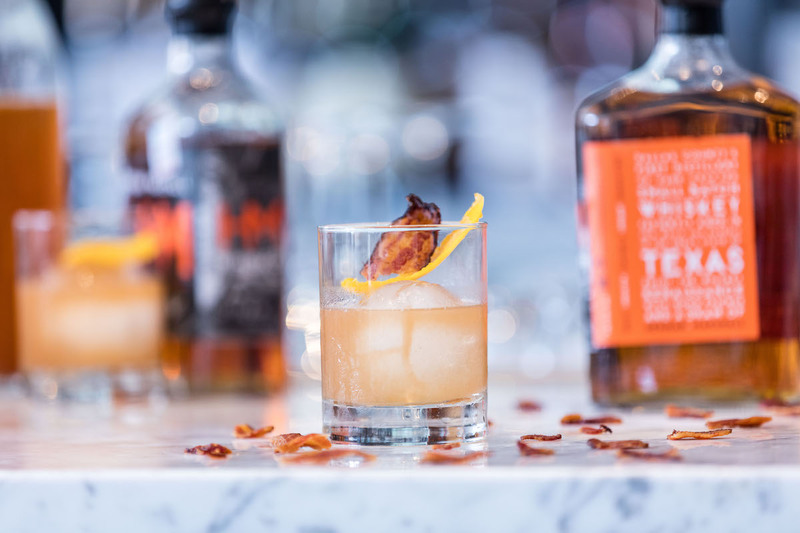 Are you sipping breakfast-inspired cocktails? Let us know where here or over on Facebook, G+, Instagram, Pinterest, or Twitter. And, remember to snap + share your #dishpics with us on Instagram for a chance to win in our weekly giveaway. P.S. 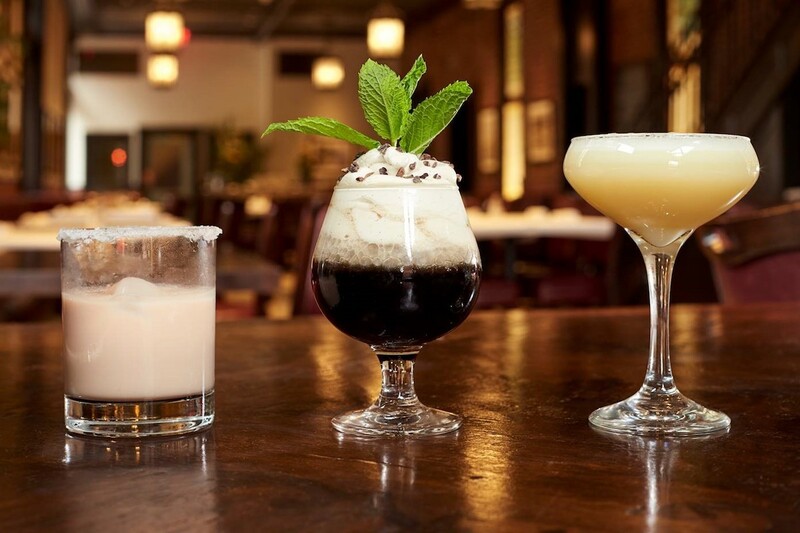 : #dishpics are drink pics, too. Photo credit: Greg Powers (Kapnos); Marcella Thompkins (Rays and Starks). BEST brunch drink after Mimosa is the echt Ramos Gin Fizz!